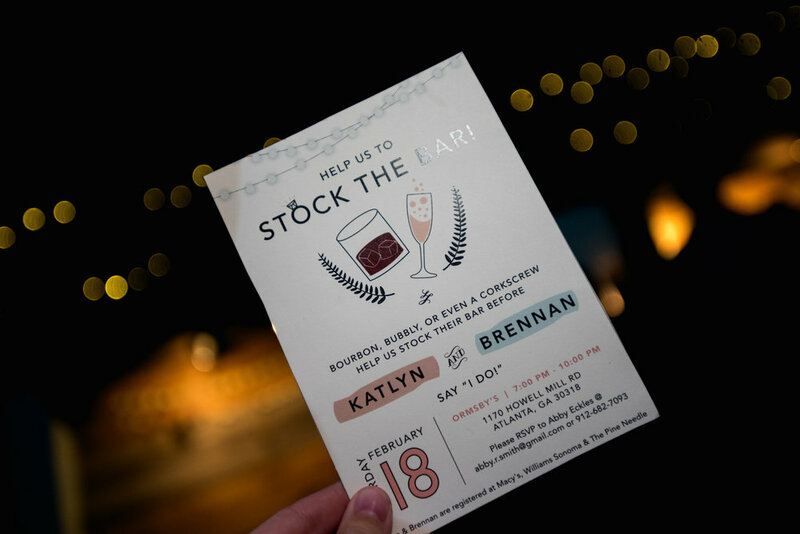 Brennan and Katlyn celebrated their engagement last weekend with a Stock the Bar Party at Ormsby's in Atlanta, Georgia. 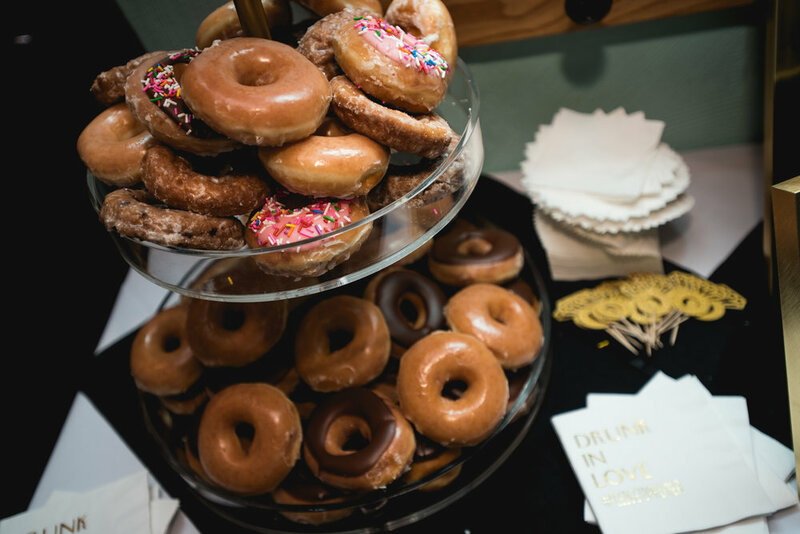 We celebrated with dinner, bocci ball, donuts, and an open bar! 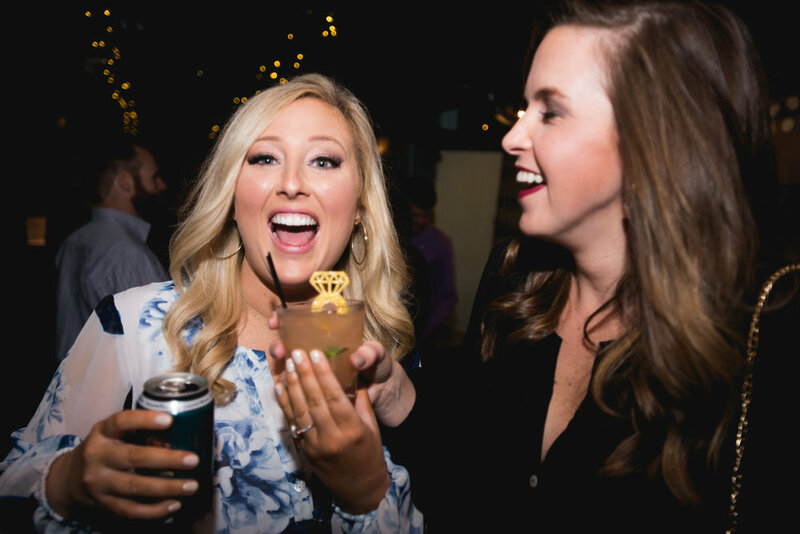 "A 'Stock the Bar' party is a great couples shower because it's gender friendly and who doesn't want their bar stocked with wines, bourbons, cocktail books, glassware, and bar tools?!" 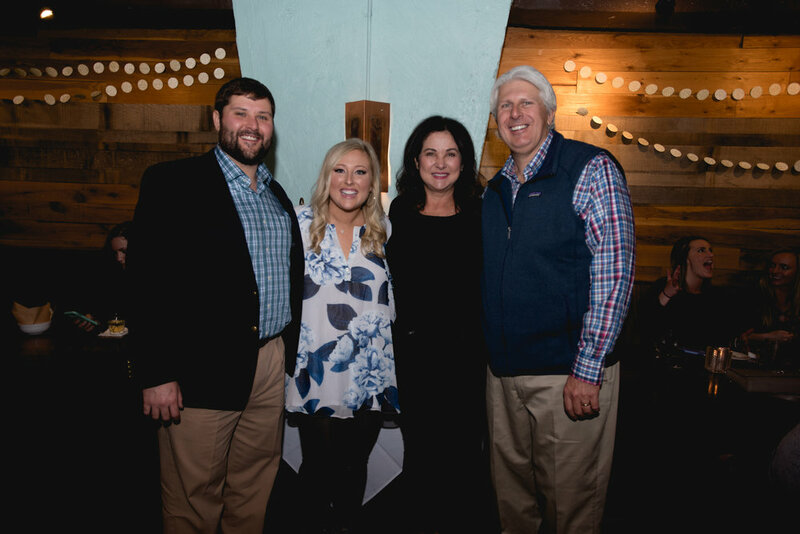 "It was so much fun having everyone together to celebrate at one of our favorite hangouts in Atlanta. 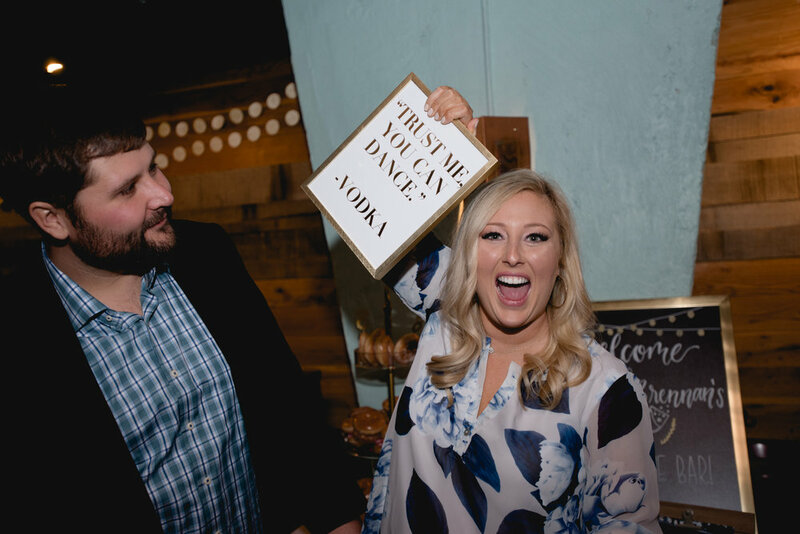 Our hosts went above and beyond to throw us the best party ever and celebrating with our family and friends made us even more excited for our wedding day in May!" 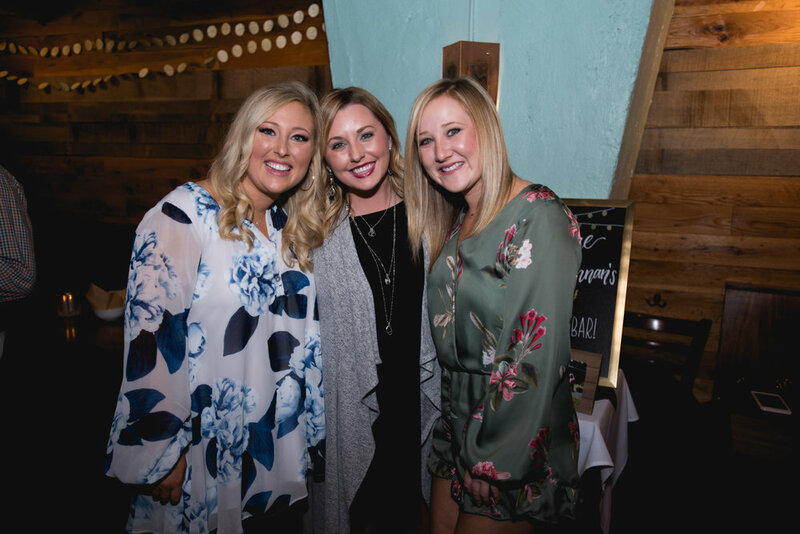 This party was so much fun to attend and be the photographer for! 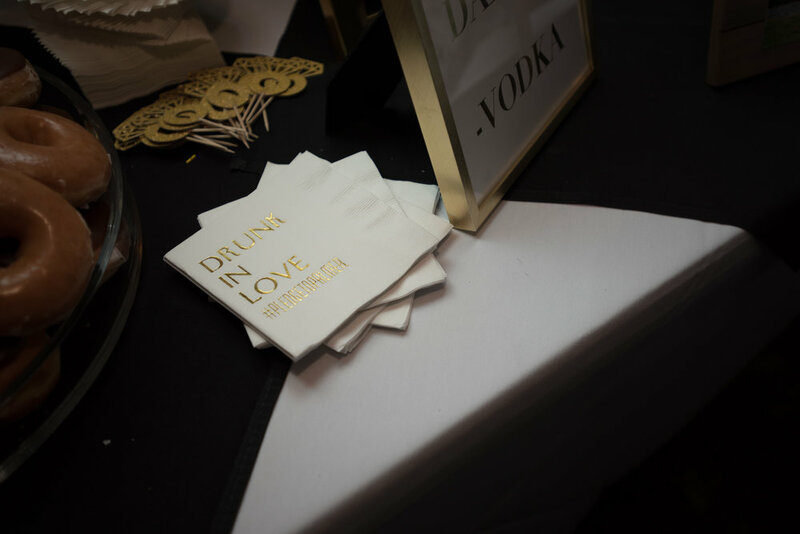 Contact me if you want to know my pricing for event or wedding photography prices!